Amber is formed from the resin of trees that existed millions of years ago and has been highly prized for many thousands of years due to its beautiful colours and inclusions. In fact the first amber trade routes were created as far back as the Bronze Age! Baltic Amber is regarded as being amongst the best in the world because of its clarity. Occasional inclusions or small particles of million year old flora or fauna are captured within the amber, making each piece a truly unique item. 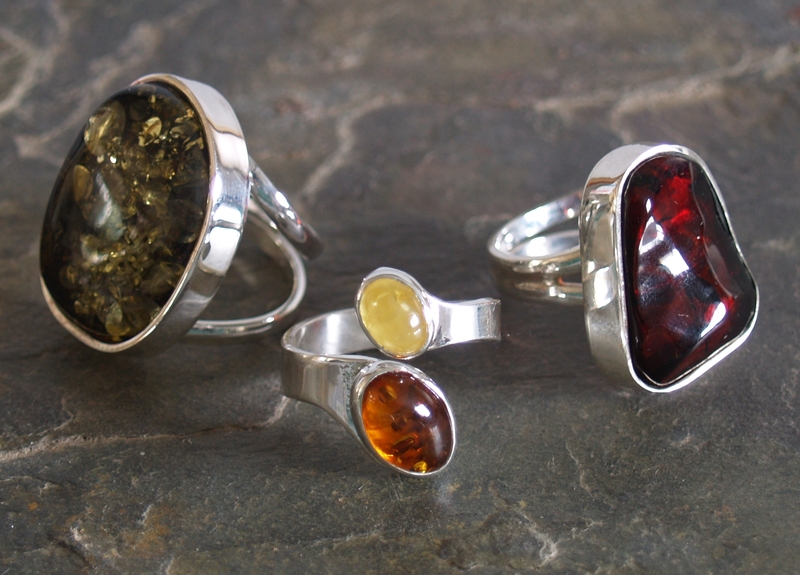 Our Amber jewellery has been carefully crafted for us by our designer, a trained engineer. Her passion for detail and wearablilty ensures that the reverse is as well finished as the front. Rings are cleverly designed to be adjustable within a few sizes to ensure a perfect fit. All pieces are set in sterling silver.